This third article completes Riverbend’s series about selecting an architectural style for your timber frame home. With six architectural styles to consider, selecting one that pleases your eye and incorporates your lifestyle, may first appear daunting. After 40 years of designing and building timber frame custom homes, we know that choosing a home design style can not only be easy, but also a delightful experience. We hope this final article further assists you during the research and consideration of your timber frame home. Did you miss the other articles in this series? Read Part One here. Read Part Two here. In North America, rustic timber frame barns serve as a striking architectural example of how to use space. It is no different when it comes to a Barn Style home. Given timber framing’s long history as a beloved building method for barns, it probably does not surprise you to learn that Riverbend frequently designs and builds Barn Style homes. Here at Riverbend, however, there has always been a special relationship between Barn style architecture and our team of professionals. 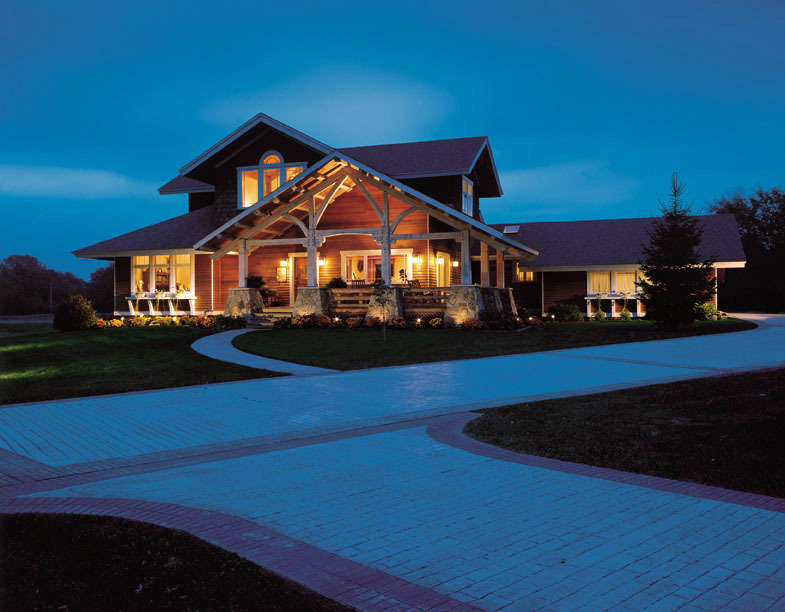 Our in-house design team is one of the few in North America that specializes in timber frame architectural design, making it uniquely qualified to work with those looking to build barn style homes. Additionally, our experienced timber artisans know how to perfectly craft the home’s timbers to work in conjunction with the energy efficient materials and building methods used in every Riverbend home’s walls and roof. Together, we work to bring you a comfortable and stunning barn style home that is not only built to stand the test of time, but is also energy efficient. 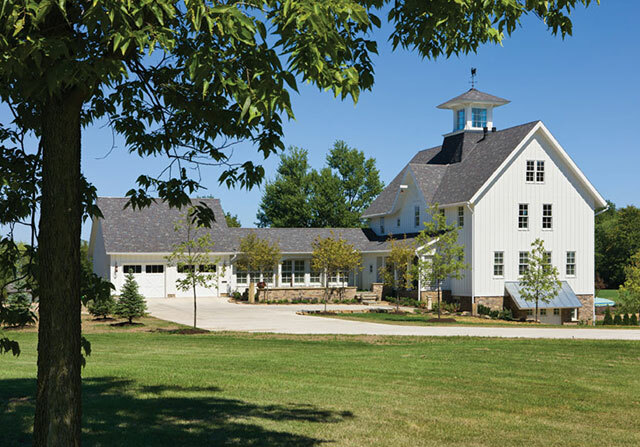 When it comes to barn style homes, there are certain features that help to make this architectural style stand out. These include cupolas, low shed dormers, traditional barn gambrel roofs, and wrap-around porches. Once inside, the large, open spaces are often flooded with light from clerestory windows. This distinctive feature dates back to an era before electricity existed as the natural light (and fresh air) these windows allowed into a building was more than simply a lovely benefit; it was a necessity. If you are looking to create a barn style home to enjoy for years to come, our client representatives and design team will guide you through Riverbend’s home design process. 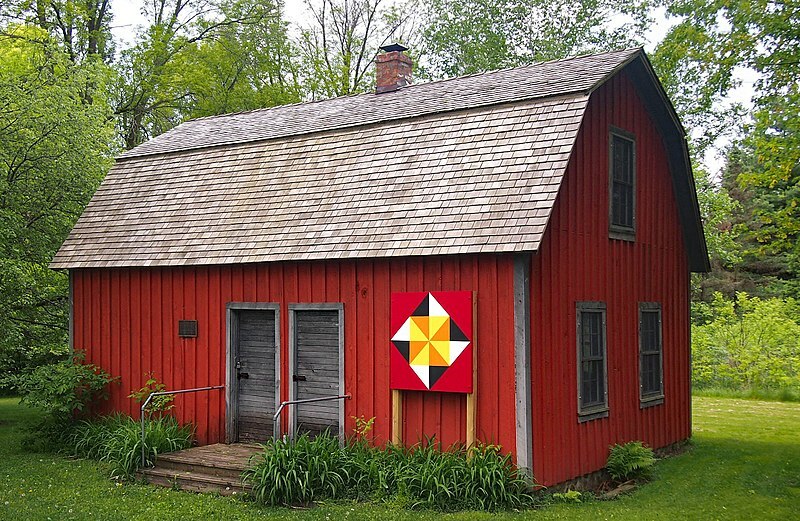 Think Barn style architecture may be right for you? Browse our floor plan design concepts here. Most of us are familiar with the architectural classic known as the Craftsman. After all, it is this style of home that dominated much of new home building in the late 19th and early 20th centuries. Part of the enduring appeal of Craftsman style architecture is its perfect suitability for timber framing. There are some features of Craftsman timber frame homes that remain defining hallmarks of the style as a whole. These include gabled roofs with broad eaves and banded [i] windows with exposed molding and trim. Superb examples of these features in a completed Riverbend home can be seen in our Craftsman photo galleries. The style’s rich and recent history continues to provide inspiration to architectural designers and homeowners alike for as much as the Craftsman has changed since it was featured in the Sear & Roebuck catalogue, it has remained the same. 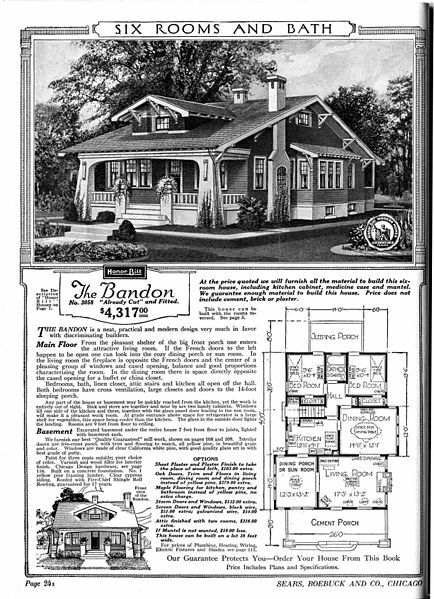 “The Bandon” (Model No. 3058) Sears Catalog Home appearing in the 1920 Sears Roebuck Catalog. Craftsman style architecture is beautifully practical. Barn style is popular for its large open areas and farmhouse feel. Both styles are classics. Regardless of which design style captures your imagination, the architectural designers at Riverbend will work with you to bring it to life. After designing and building over 5,000 elegant timber frame homes, you can be sure that your vision will be artfully captured and beautifully crafted. To learn more about our design process, click here. Please return in two weeks as we will be writing about post and beam and timber frame building methods, and the differences between the two. [i] Alternatively referred to as ribbon windows, this style of window is defined as, “One of a horizontal series of three windows or more, separated only by mullions, that form a horizontal band across the facade of a building In the US, most commonly found in buildings erected after 1900.” You can learn more about banded windows at the Buffalo as an Architectural Museum site, here.